This image supports the original Hell Mouth image because it has the similar beast pushing creatures into the mouth/ jaws of hell. 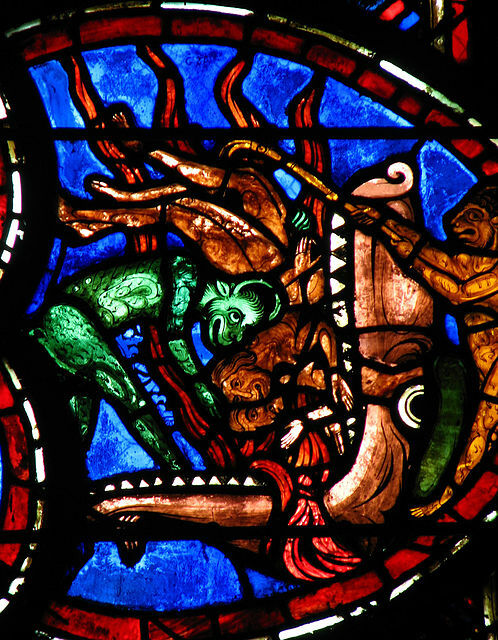 This image is from Bourges Cathedral, ca. 12th century, and it titled Jaws of Hell.